Let's explore the considerations you should understand about solar panels, to get the best price and save you the most money possible. Let’s examine some panel price points, and see if we can help you get to a place where you make some money off your solar investment. This is a factor of production, and we must always consider labor costs when factoring the cost of our solar installation and panel purchasing. After all, we all want to get paid for our work, and we all like to work in order to make money. This cycle goes on and on as we work for dollars, and then use the dollars to pay for the labor of other peoples labor. The cycle goes on and on, even when considering the cost of installations. The installation charges can also vary with your choice of installer. From large solar companies to DIY projects, that price of installations can be wide-ranging, so make sure you study. There is a constant in economics, as it is a result and the reason for supply and demand curves to shift. Suppose you are trying to price everything out, and are wondering what the price might be for a single panel. Or, you might want to examine the individual price to get a better idea of the total amount of solar for your installation and want to make sure you are getting the best price possible. You are starting to get it, but, there is more to solar costs. Another essential factor of production to consider is capital. The cost of the material is going to have an effect on costs. Variables like the type of material, size, and efficiency can have dramatic effects on the overall price of your solar. However, usually, solar price around $0.85 to $1 per watt. A $3/watt price is an essential benchmark to take notice of when looking at the entire solar panel system. Considering all of this, you can see that 250 watts would cost around $200. One of the first things you have to consider is that the actual panels only make up 25 to 30 percent of the total price of installing a solar system. The cost of the panel you choose changes based on the type and efficiency. Also notable, the cost of panels has fallen in the past 10 years to about half the price they were in 2008. You can assume to pay somewhere between $4,000 and $16,000 of hard-earned dollar for your solar panels. U.S. Solar Market Insight states the total average pricing for domestic systems is just above $3.50 per watt. Solar modules are sold based on how many “watts” of energy they generate. A watt is the basic unit of power, which equals volts multiplied by amps. 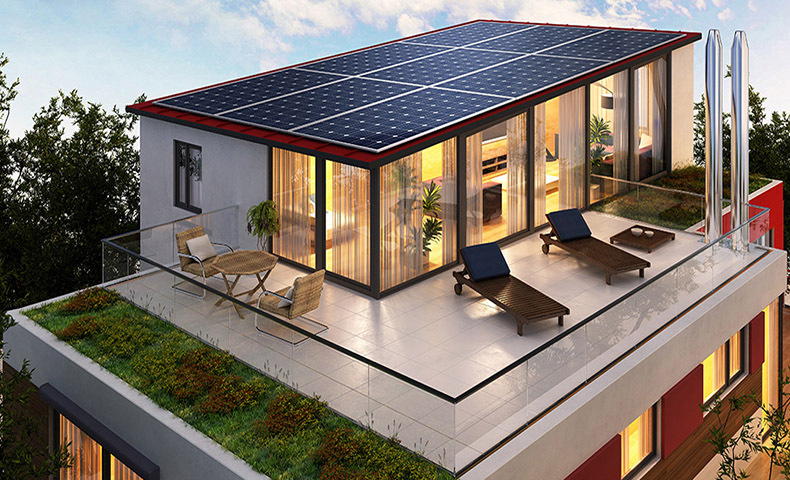 Each module contains solar cells, so the more cells that can be packed into a module, the higher the total wattage. The lower-wattage modules are packed with fewer solar cells, so they are relatively inexpensive. Those with a greater density, such as the 300- or 370-watt units, cost more. Module prices average about $.60 per watt, with prices projected to fall to $.46 per watt by 2018, according to a 2015 U.S. Department of Energy SunShot report on pricing trends. To figure out the efficiency rating of a solar module, compare the percentage of sunlight converted into electricity. Usual efficiency rates range 14 to 18 percent. As technology upgrades, higher percentages will be a result. A cell’s performance comes from the variety of silicon used during manufacturing. The dimensions of solar determines its overall price. Generally, residential photovoltaic installations range from 2 and 20 kW and cost between $15,000 and $35,000. However, several variables are in play, including the possible space and aspect of the roof. Some systems require as much as 1,000 square feet while small beginner systems might need approximately 50 square feet. A lot of solar warranties are usually servicing for the individual solar components. Well known solar panels will include a 20- to 25-year warranty covering 80 percent of the energy output. Looking to go solar? Sign up now and we will find them for you.